These days it’s hard to keep track of all the new hotel openings in Asia, let alone around the rest of the world. Like mould growing in spring humidity, new launches are a dime a dozen and here we present you with a round-up of some of the best so far. 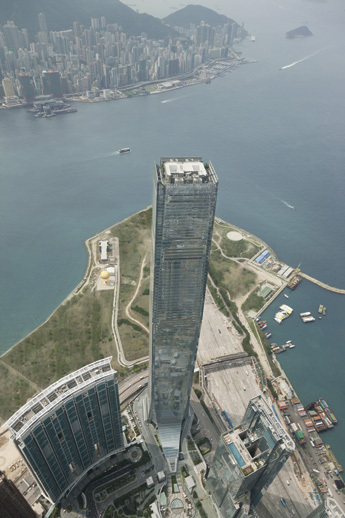 Soaring 490 metres above Victoria Harbour, on the top floors of the fourth tallest building on the planet is the new Ritz-Carlton, Hong Kong and the extraordinary hotel marks the beginning of a new era for Asian hospitality. At a measly 333 metres, the Rose Rayhaan in Dubai was the previous world’s tallest, and – for now at least – The Ritz-Carlton, Hong Kong now can proudly claim the title of the highest hotel in the world instead. 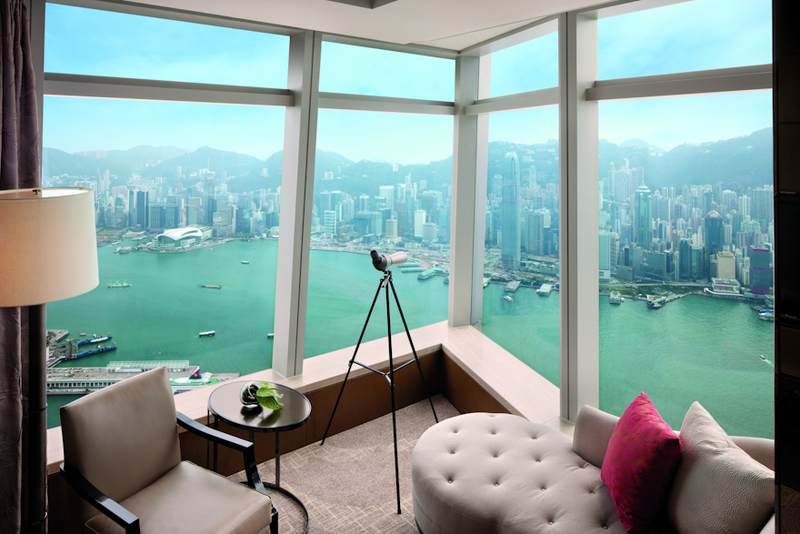 The sweeping 360-degree panoramas are beyond comparison, with every one of the sleek modern-oriental-styled guestrooms featuring either views of Hong Kong’s outlying islands, Kowloon, Hong Kong Island, or, in some privileged cases, all of the above. The Ritz-Carlton, Hong Kong is a hotel that turns people into ants and buildings into structures of cards – a place where the world looks differently and where one literally stands above it all. The lobby sits on the 103rd floor, and the hotel continues its vertical climb to the highest bar in the world – the Ozone Bar on the 118th floor (which, yes, does have an outdoor terrace). Other food and beverage highlights include an all-day Lounge and Bar, a cute pastry shop, a Chinese restaurant called Tin Lung Heen, a south Italian-focused outlet called Tosca, plus a lounge called the Chocolate Library. There is also an 860-square-metre spa by ESPA, which comes complete with a glass-enclosed infinity pool, an LED screen ceiling, plus nine deluxe treatment rooms and two couples’ suites. This exquisite little gem of a property is proving itself to be a charmer, entering in as easily the best hotel in Bophut Bay – if not the whole of Koh Samui itself. While the property does not offer as much as mega luxury resorts, the select offerings on hand are of the highest quality. These top-notch offerings include a spacious spa, 74 comfortable and airy guestrooms, an open-air waterfront bar, a beach-side saltwater infinity pool, plus a well-equipped gym and what could easily be considered Samui’s best restaurant – H Bistro. Although slightly cosily-sized at 8,862 square-metres, it is exactly this cosiness which makes the property so successful, with intimate public areas and a simple design keeping everything at guest’s fingertips. Arranged in an orderly U-shaped layout, the warm brick-coloured structures of the property have been expediently arranged around the garden-edged infinity pool at the centre of the resort, which can be reached within 30 seconds from anywhere on the property. In addition, every single one of the rooms unobstructedly looks onto the sea, with each boasting massive flat-screen televisions, centrepiece terrazzo bathtubs, teak floors, restful king-size four-poster beds and oversized glass-walled rainshowers as well. Other highlights of the property include the generously sized treatment rooms of the Luxsa Spa and possibly one of the finest and most well-equipped restaurants in Samui, H Bistro, where fresh foods and molecularly enhanced dishes tantalise and exert a pull on one’s senses. Although newcomers on the scene, Hansar is managed by hospitality veterans Ativa, and as a result the service is second-to-none, with every one of the staff making guests feel like family. This superior service is another element that contributes to the subtle sense of working luxury that makes this place the diamond in the rough that it is. 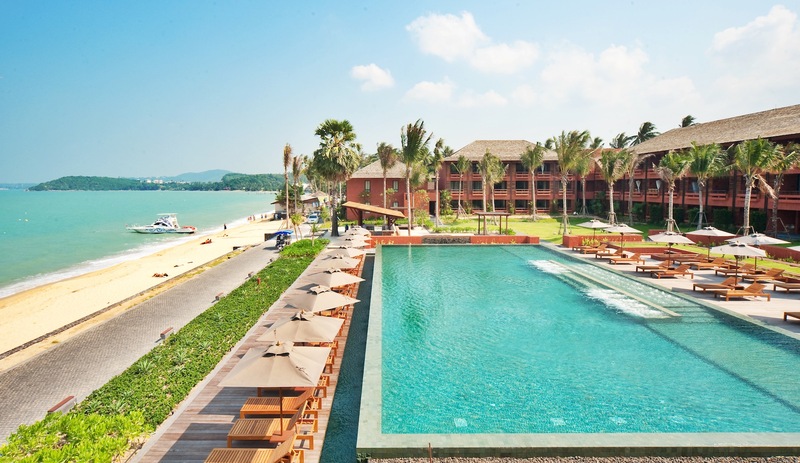 The overuse of words beginning with the letter ‘W’ employed at W Hotels around the world gets kind of galling after a while, but this is one annoyance we are willing to forgo at the W Retreat Koh Samui, which really is, by definition and design, whimsical and wonderful (*shudder*). At the entrance one is greeted by interactive digital floor projections and a large architectural recreation of a lily pond complete with glowing psychedelic floating globules and sunken seats that look like oversized lotus flowers. From here on in a whole world of chicness awaits where quirky design features abound and create a serious sense of place. In the 75 colourful glass-walled pool villas red marshmallow-resembling light fixtures, modish asymmetrical ceiling fans and other playful eye candy combine to make an impact on the senses, whilst around the resort a number of alluring food and beverage outlets beckon and entice. These include the open kitchens, dramatic glass ceilings and vivid bright blue tones of The Kitchen Table; the raw wood, concrete, and glass elements of the beach-side Sip Bar and Namu Japanese restaurant; plus a healthful juice bar connected to the Away Spa (which boasts Asia’s first Thai/Mexican steam treatment facility). Being a W property, the exceptional design is matched by an exceptional location, which features two separate beaches that converge at a sandy tip. While villas scatter a hillside on one side off from the beachfront, there is a flat plain that stretches out on the other side, overlooked by the various levels of public areas that impressively cascade down the hillside. It is all just a day’s work for this hotel group of cool unconventionality. The Kerry Hotel, Pudong, Shanghai is the first of a new luxury hotel brand from the Shangri-La group and, being a debut, the property is of course a real stunner. With first-rate facilities, spacious guestrooms, professional meeting and conference solutions, and some of the best food and beverage outlets in Shanghai, the brand new 31-storey hotel is quite a force to be reckoned with. The hotel houses 574 plush guestrooms and suites, which all come with specially designed bar counters and high stools, plus massive flat-screen televisions, iPod docks, complimentary Internet, and marble bathrooms with glass-enclosed baths and shower cubicles. However, although faultless and perfectly fine, these guestrooms take second place to the forward-thinking food and beverage concepts on offer at the hotel. These include an eye-catching à la carte restaurant (COOK) with 11 live show kitchens, and a refined steakhouse (MEET) where one can choose a slab of meat from the dedicated ‘Ageing Room’ and have it carved up tableside by the in-house butcher. The Kerry Hotel is also the first hotel with its own craft brewery (BREW) where their own signature beers are brewed in-house by the resident alcoholic (I mean ‘brew master’). Other highlights of the property include an opulent Chinese restaurant with private dining rooms galore (Blossoms) and a 6,000 square-metre recreation destination spanning over three floors. Silently expanding at a swift pace, Anantara has grown to be a major player in the Asian hospitality industry. Now, after a decade of relaxing and pampering their guests, the comfort experts have opened their first true city hotel in Bangkok. Although most recognised for their resort-style accommodations – often with pool villas and verdant natural locations – their new Bangkok property refreshingly goes against the grain which they are normally used to. However, this is not to say the property lacks the Anantara signature – it is in fact the opposite, with plenty of Thai-inspired ornaments running throughout and a massive outdoor pool and garden area set in between the two towering twin buildings that make up the property. Available for short- and long-term stays, their chic-looking accommodation offerings range from 40 square-metre rooms to 121 square-metre two-bedroom suites. Some of the guestroom highlights include balconies with city or river views, plus oversized bathtubs and separate living and entertainment areas. The dining options on hand include Zin Bar, a refined and contemporary yet uniquely Anantara take on the lobby bar concept; Crust, a restaurant with its own wood-fire pizza oven serving up some of the best Italian pizzas in Bangkok; and 100°East, an outlet with indoor and outdoor seating with a refined interior marked by hardwood furniture and sensuous textiles. Although not the newest property to have launched in Phuket, Andara is certainly one of the more luxurious and well-equipped resorts off the list of recent openings. Sited on a lush, gently-sloping hillside overlooking the picturesque waters of Kamala Bay on the pristine west coast of Phuket, the resort has an exclusive has-to-be-experienced feel about it. There are 26 free-standing pool villas and 37 suites, each ranging in size from one to six bedrooms, spread across low-rise buildings layered up the hillside. Apart from the Thai-inspired ornamentation, the rooms feel more like well-equipped urban pads as opposed to accommodation in an island resort, with surround-sound Bose speakers in every room, exceptional kitchens outfitted with a shiny array of appliances, plus bathroom rainshowers and some of the most comfortable beds in Phuket. Other high points include Silk Restaurant and Bar (which fuses time-honoured techniques, fine local ingredients with a dash of contemporary flair), the large 40-metre infinity pool, the spacious spa, plus two of their own Italian-designed private motor yachts that are available for private charter. The Mandarin Oriental Hotel Group has always had a strong footing in this part of Asia and so this Macau property opened to a fanfare when it launched. Taking over from the old Mandarin Oriental Macau (now branded as the Grand Lapa Hotel), the new property is located on a prime spot on the waterfront – coming in as part of the massive One Central Macau development (which also houses residences managed by the Mandarin Oriental). Being the hospitality veterans that they are, the hotel features Mandarin Oriental’s trademark fineness, which comes in alongside a modish design scheme that merges subtle inspirations from the territory’s European heritage with sleek interior decor. The 213 spacious rooms (including 26 suites and 1 presidential suite) come complete with such comforts as hydro massage-equipped showers, television-side bathtubs, iPod docks, yoga mats, Nespresso coffee machines, large flat-screen televisions, surround sound systems and stunning panoramas over the adjacent lake or harbour. On site also are a state-of-the-art Fitness Centre and an outdoor swimming pool, with these both being connected to the award-winning Spa at Mandarin Oriental. As the only non-gaming, five-star hotel on the Macau Peninsula, the Mandarin Oriental, Macau places its focus on areas other than gambling and, as well as the spa, there are also convenient and exclusive meeting and conference facilities, plus a wide range of food and beverage outlets. These dining options include the Lobby Lounge, the Mandarin Oriental Cake Shop and the signature Vida Rica Restaurant and Bar, which boasts soaring columns and a double-height ceiling.